U.S. Commerce Secretary Wilbur Ross on Monday extended the deadline for U.S.-Mexico sugar trade negotiations by 24 hours, and sources on either side of the spat said U.S. industry added new demands after the governments struck a provisional deal. Ross said extra time was needed to complete "final technical consultations" for a deal. At stake is the possibility of stiff U.S. duties and Mexican retaliation on imports of American high-fructose corn syrup ahead of wider trade talks expected in August. An agreement in Washington would end a year of wrangling over Mexican sugar exports. The latest talks began in March, two months after President Donald Trump took power vowing a tougher line on trade to protect U.S. industry and jobs. "The two sides have come together in quite meaningful ways, but there remain a few technical details to work out," Ross said in a statement as time was running out on a Monday deadline. "We are quite optimistic that our two nations are on the precipice of an agreement we can all support, and so have decided that a short extension of the deadline is in everyone’s best interest." Ross did not provide details of the issues yet to be resolved in his statement. ICE U.S. domestic raw sugar futures for July delivery SFSc1 finished down 2.9 percent at 27.66 cents per lb, in the largest one-day loss in over a year. While one Mexican official familiar with the talks described what was still being discussed as details of "implementation" of the main points already agreed, another expressed frustration with the disruptions in the talks. The officials and two other sources with direct knowledge of the talks in the morning said an agreement had been struck between the governments. However, as the day progressed, one of the officials began to worry about growing resistance from U.S. industry, saying he thought lobbyists were trying to postpone an agreement. The Mexican official and a U.S. industry source said the U.S. sugar industry then came back with additional demands outside of the terms agreed on earlier. The demands included changes to a "first refusal right" that would allow Mexico to sell U.S. refiners any additional sugar they needed beyond agreed quotas, the official said, complaining that the demands were like "a moving target." That source said the cane refiner ASR Group, a partnership that includes the politically connected Fanjul family, was active in raising the new requirements. The Fanjuls own Domino Sugar, C&H, and Florida Crystals. ASR Group declined to comment on its involvement in the talks. In an earlier attempt to break the impasse, U.S. Commerce Secretary Ross came close to hammering out a compromise deal before a deadline in May, but that also fell through when the U.S. sugar lobby upped pressure on U.S. lawmakers, said two sources familiar with the talks. 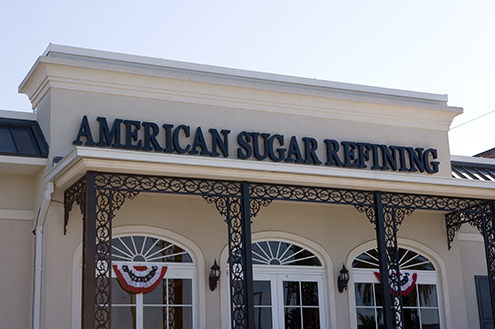 The powerful lobby also includes Imperial Sugar Co [LOUDRI.UL], owned by Louis Dreyfus Co, and U.S. cane and beet growers. A Washington-based source familiar with the negotiations said that the two sides had "come together" on the four largest issues separating the U.S. and Mexican sugar industries, but some technical details still needed to be worked out. The person declined to elaborate. The agreed terms would lower the proportion of refined sugar Mexico can export to the United States to 30 percent of total exports, from 53 percent, one of the Mexican government sources said. The agreement would also cut the quality of Mexico’s crude sugar exports to 99.2 percent, from 99.5 percent, the source said, tackling a key complaint of U.S. refiners, who have said Mexican crude sugar was close to refined and going straight to consumers. It also contemplated an increase on the price paid for Mexican sugar, to 23 cents per lb for raw sugar and 28 cents for refined, the source said. Corn refiners including Archer Daniels Midland Co (ADM.N), Cargill Inc [CARG.UL], Corn Products International Inc and Tate & Lyle Plc (TATE.L) would be affected if a final deal is not reached and Mexico resorted to retaliatory tariffs against fructose syrup.